November 26, 2017, I saw the show of the Canadian Pacific Holiday Train which had musical guests Jonathan Roy, Emma Lee & Colin James. It was a nice half hour show with lovely music setting the tone for the holiday season. My fave part was Jonathan Roy when he performed his first single Daniela Danmark. It’s a catchy tune that makes you want to dance. I heard about him last year. It was also fun to discover Emma Lee & Colin James. I am discovering their music bit by bit and I am so excited to search for something new. They also gave amazing performances. I look forward to hearing the music of these 3 artists. November 26, 2017, marks the 16th Anniversary of Blue’s first album All Rise, in the United Kingdom. This record would pave the way to the phenomenal career of the British Boy Band Blue. All Rise features hits like “All Rise”, “If You Come Back”, Fly By, and Best in Me. The voices of each member of the group complement each other very nicely. The overall style of the music has pop with a twist of RAP/ R&B. Simon Webbe performs the parts of RAP, which is the case for All Rise & Fly By. The songs that have a dancing beat are All Rise, Too Close, This Temptation, Fly By, Bounce, Make It Happen, and Back to You. These songs have catchy beats that are unforgettable and very much a style associated with Blue. All Rise is my favourite, and it was the first song I heard from the pop group. Too Close is a cover of a song originally performed by R&G group Next. Their romantic songs are just as incredible as their dance songs. The song entitled “Best in Me” is my favourite romantic song, a ballad, on the album. Back Some Day is a bittersweet song about a guy reassuring his significant other that he’ll see her soon. Missing someone is never easy. However, the reunion is worth the wait. Long Time is also bittersweet and like Back Some Day is about missing a significant other. The composition of both ballads is beautiful with melodies that are incredible. All Rise, one of the Dance songs is about heartbreak, where there’s a sense of frustration following a break-up. If You Come Back is a post-relationship song where the guy still loves the girl and wants her back. He promises to be loyal and will make an effort to be a better man. Girl, I’ll Never Understand is about a relationship that falls apart where the guy tries everything to please the girl, but no success. However, there’s a sense of relief. This first album for Blue is fantastic. I enjoyed the different musical styles mixed with the pop music, as well as the voices that have complement each other very well. All the fours members of Blue have incredible vocals. The All Rise won a Brit Award in 2002. It’s a well-done album! The version of the song “Fly By” differs from the song heard on the radio and the video. The second one is entitled “Fly By II”. Both versions are equally amazing. A year ago today, we lost Canadian singer Leonard Cohen. He was a very talented artist. He was known for his famous hit Hallejuah, which is a song that has been remade or turned into a cover many times since its release. I admit I am too familiar with his work, but I do understand from what I’d heard how significant Cohen was. His son Adam Cohen is also a singer. November 4, 2017, marks the 15th anniversary of Blue’s second album One Love. This album features the singles One Love, Sorry Seems to Be the Hardest Word (featuring Elton John), and U Make Me Wanna. One Love is primarily a dance album, with the timeless style of Brit Pop. It also has the classic subjects of love and heartbreak. There are romantic songs such as One Love and U Make Me Wanna. Flexin’, Get Down, and Like a Friend are also passionate. Dance music primarily dominates the album. The songs with a dance beat are Riders, She Told Me, Right Here Waiting, Ain’t Got You, Supersexual, Privacy and Invitation. The songs that cover the subject of heartbreak are Sorry Seems to Be the Hardest Word (featuring Elton John) and Don’t Treat Me Like a Fool. The singles of this album are my favourite songs, but I also enjoyed the songs Riders and Don’t Treat like a Fool. November 4, 2017, marks the 20th anniversary of Shania’s Twain’s album Come On Over. A record has a lovely mix of Country and Pop, which includes the hits likeYou’re Still the One, Come On Over, You’ve Got a Way with Me, Man! I feel Like a Woman, From This Moment, Love Get Me Every Time, and That Don’t Impress Me Much, etc. It’s a classic album from the 1990s. It’s not just romantic, but also empowering (for women). The music is still incredible 20 years later! Women’s Empower is present in the following songs: Man! I feel Like a Woman, That Don’t Impress Me Much and Whatever You Do, Don’t, and Honey I’m Home. Shania Twain is a fantastic role model for young girls. Standing up for oneself is essential. I prefer Pop to Country music, but this record is an example of excellent Country music. It makes me want to dance and take it easy. My favourite songs are You’re Still the One, Come On Over, You’ve Got a Way with Me, Man! I feel Like a Woman, Love Get Me Every Time, and That Don’t Impress Me Much. When I was a kid, I used to be a huge Spice Girls fan. The album Spiceworld was a fantastic album. 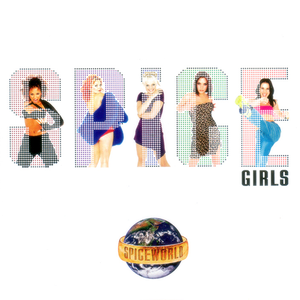 Spiceworld includes Spice Up Your Life, Stop, and Too Much. This pop album sold 20 million copies worldwide! Spice Up Your Life, Stop, Saturday Night Divas, Never Give Up On The Good Times, Move Over, Do It, and The Lady Is A Vamp. These songs were catchy and upbeat. The slow songs were Too Much, and Viva Forever. Too Much is about a relationship that is struggling. Viva Forever is about everlasting love. Both songs are romantic and poetic. Denying is a song with a beat that varies from slow to fast and vice versa. It’s song of empowerment, primarily when a relationship isn’t working out. The overall feel of this album is about empowerment in various forms as well as romantic. The sense of “Girl Power” that many of us remember when we were little girls is very present in this album.